1. Who is the all-time points leader in the history of the University of Indiana ? 2. Who holds the NCAA season record for assists with 406? 3. From what college did Shaquille O'Neal graduate? 4. How many basketball games did UCLA lose while Lew Alcindor played? 5. How many NCAA championships did Bill Walton win while playing for UCLA? 6. Julius Erving played his college ball at what school? 7. What college did Anfernee Hardaway attend? 8. 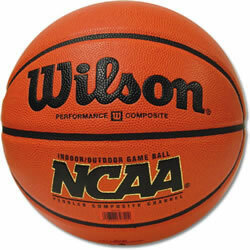 What NCAA set the record for most points in a single NCAA Championship tournament game with 149? 9. What college did Oscar Robertson attend? 10. Who leads all scorers in NCAA championship history with 61 points in a single game?